Tennessee’s first postsecondary education program for students with intellectual disabilities, Next Steps at Vanderbilt, will expand significantly thanks to new federal funding. The U.S. Department of Education’s Office of Postsecondary Education has awarded a five-year, $1.93 million grant to Vanderbilt’s Peabody College of education and human development to expand the quality, impact and reach of Next Steps at Vanderbilt. 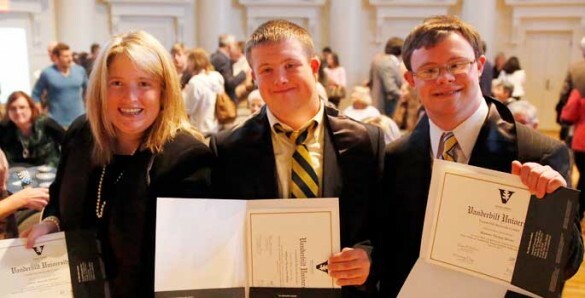 Vanderbilt was one of 25 colleges and universities nationally awarded funding as a Model Comprehensive Transition and Postsecondary Program for Students with Intellectual Disabilities (TPSID). Other Tennessee recipients of TPSID awards were Lipscomb University and University of Memphis. 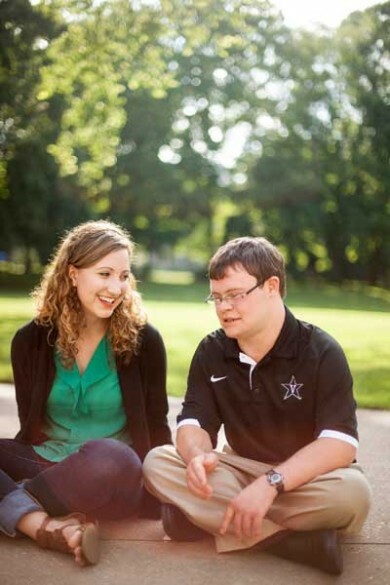 Next Steps at Vanderbilt is a two-year certificate program for 18- to 26-year-old students with intellectual and developmental disabilities. 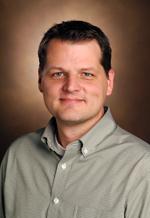 The Vanderbilt Kennedy University Center for Excellence in Developmental Disabilities (VKC UCEDD) established Next Steps in 2010. 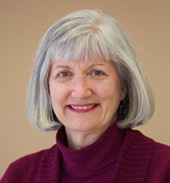 Over the next five years, Carter and colleagues at Peabody and the VKC UCEDD will expand Next Steps into a four-year program, develop inclusive residential options, increase access to the range of student experiences and supports, strengthen its research focus, and spur and support growth of other inclusive higher education programs. Tennessee’s need for such programs is significant. Only 6 percent of graduates with intellectual disability, autism or multiple disabilities are enrolled in higher education a year after leaving high school, compared to 48 percent of fellow graduates without disabilities. 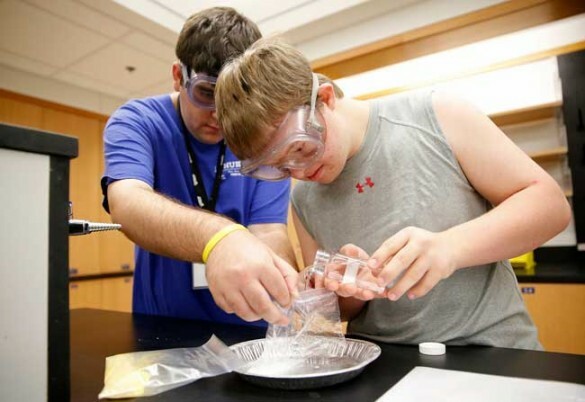 In a statewide study of 2,400 families, less than 10 percent of youth and young adults with intellectual disabilities had ever held a paid after-school, weekend or summer job in the community. Only 19.5 percent of working-age Tennesseans with a cognitive disability are employed, compared to a national average of 23.4 percent. Collaborations include TennesseeWorks, a federally funded statewide employment systems change grant involving more than 40 state and community partners striving to improve post-high school options; and the Governor’s Employment First Task Force, which is charged with building capacity and commitment to strong employment pathways statewide. Additionally, the VKC UCEDD is a leader of the Tennessee Alliance for Postsecondary Opportunities for Students with Intellectual and Developmental Disabilities. Carter also is working with the Tennessee Department of Education to develop a new transition framework, manual and training program to equip educators statewide to better prepare students with intellectual disabilities for inclusive postsecondary education programs.